Dr. Olson and the board discussed his weekly schedule at the January 17, 2017 school board meeting. Currently, the shared superintendent is at La Harpe on Tuesdays and Wednesdays, at Dallas on Thursdays and Fridays, and alternates Mondays at La Harpe and Dallas. The board discussed their approval of Dr. Olson setting his own schedule, the benefit of him being in the district on board meeting days (Tuesdays), and that the consistency of his schedule has been very helpful to the staff. School board candidates Brian Brown, Lacey Covert, and Ryan Johnson, and 5th grade teacher Grant Rogers were visiting. The board approved the consent agenda and payment of the bills (withholding the Johnson Controls bill for further review), and held a semiannual review of closed meeting minutes. administrative officials at the College of Dupage in Glen Ellyn, Illinois. Randy May was approved as head Scholastic Bowl coach with Rebecca Moran as assistant coach. Dr. Olson reported that FY16 fourth quarter mandated categorical payments, which were vouchered in June, were finally received six months later. The first two quarters of mandated categorical payments, totaling more than $113,000, for the current fiscal year have been vouchered, but not processed by the Comptroller. These primarily include reimbursements for Transportation and Special Ed. Personnel and Special Ed. Student expenses. The Illinois General Assembly discussed a 2-year property tax freeze during the recent lame duck session. Dr. Olson explained the Evidence-Based Funding that likely will be introduced in a bill during the spring session. The January 3 Teacher's Institute centered on standards-based grading and other concepts from Tom Schimmer's book Grading From the Inside Out. Ten educators will be participating in the Mawi Learning Powerful Educator course on how to motivate and inspire students. The course consists of video assignments and online reflections. Dr. Olson will be meeting every other week with the ten to discuss the information and its implementation in the classroom. Mrs. McKeown's principal's report included athletic updates on basketball and volleyball. The volleyball team held a Trivia Night fundraiser. McKeown mentioned the teacher in-service on grading and homework practices. Mrs. Wallace is coordinating PTO activities this year including positive behavior parties. Mrs. McKeown has started curriculum meetings with elementary teachers. The committee is currently focusing on spelling curriculum and best practices. McKeown hopes to complete first year teacher observations by the end of January. She mentioned that many students and staff have been dealing with various flu bugs and viruses, and that we have had three snow days so far. 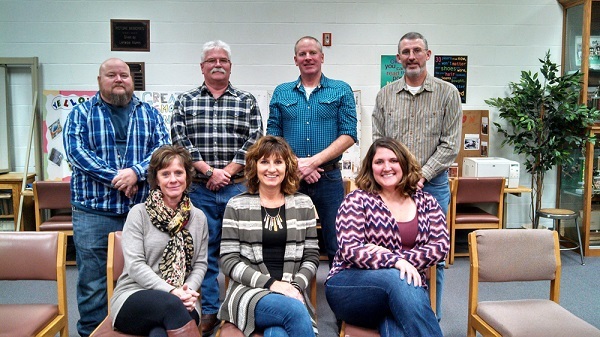 School board meetings are held at 7:00 p.m. on the third Tuesday of each month in the school library. Agendas and approved minutes are posted on the website at laharpeeagles.org.